The sailors say they “face additional and irreparable harm to their life expectancy, which has been shortened and cannot be restored to its prior condition.” Six of the eight plaintiffs worked on the flight deck of the aircraft carrier; two worked in air contamination or the “air department.” One sued also on behalf of her infant daughter. On March 14th, the USS Ronald Reagan aircraft carrier and other US Navy ships in the Pacific were repositioned after detecting radioactive materials from the Fukushima Daiichi plant, in total seven US Navy ships were swiftly moved to the eastern coast of Japan, and the crews were exposed to radiation from airborne plumes. The radiation was first detected by air particulate detectors aboard three helicopters located 60 miles away from the shoreline. The helicopters were returning to the carrier from a relief mission to the quake and tsunami ravaged city of Sendai. Lead plaintiff Lindsay R. Cooper claims Tokyo Electric (TEPCO) intentionally concealed the dangerous levels of radiation in the environment from U.S. Navy rescue crews working off the coast of Japan after the March 10, 2011 earthquake and tsunami set off the nuclear disaster. “TEPCO pursued a policy to cause rescuers, including the plaintiffs, to rush into an unsafe area which was too close to the FNPP [Fukushima Nuclear Power Plant] that had been damaged. Relying upon the misrepresentations regarding health and safety made by TEPCO … the U.S. Navy was lulled into a false sense of security,” the complaint states. “At all times relevant times, the defendant, TEPCO, was aware that exposure to even a low dose of radiation creates a danger to one’s health and that it is important to accurately report actual levels. The plaintiffs claim the government deliberately misled them: “the Japanese government kept representing that there was no danger of radiation contamination to the U.S.S. Reagan … and/or its crew, that ‘everything is under control,’ ‘all is OK, you can trust us,’ and there is ‘no immediate danger’ or threat to human life, all the while lying through their teeth about the reactor meltdowns at FNPP. 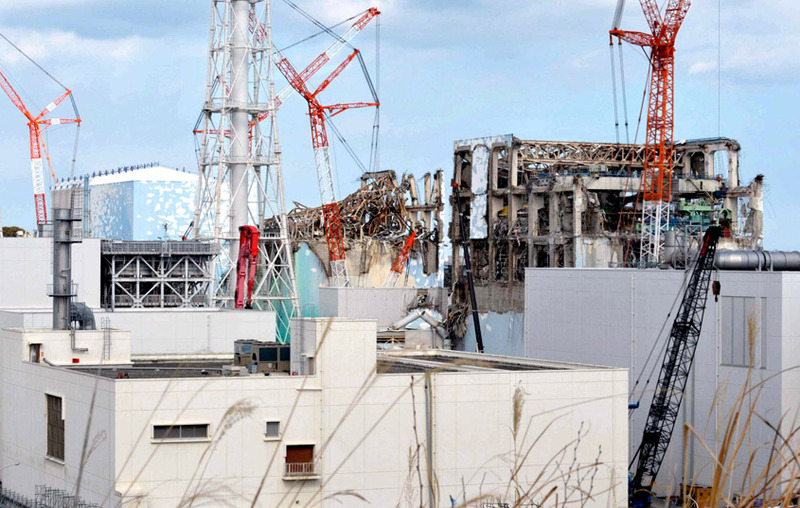 TEPCO controlled all activities at the power plant, so it is responsible for the plaintiffs’ radiation exposure and subsequent damages, the sailors say. “According to then-existing data uniquely known to the defendant at the time, the plaintiffs’ consequent exposure to radiation within their zone of operation, then indicated that radiation levels had already reached levels exceeding the levels of exposure to which those living the same distance from Chernobyl experienced who subsequently developed cancer,” the complaint states. The plaintiffs are Lindsay Cooper, James Sutton, Kim Gieseking and her daughter, Charles Yarris, Robert Miller, Christopher Bittner, Eric Membrila and Judy Goodwin. They are seeking $10 million in compensatory damages and $30 million in punitive damages for fraud, negligence, strict liability, failure to warn, public and private nuisance, and defective design. They also want TEPCO ordered to establish a fund of $100 million to pay for their medical expenses.